When ordinary people bid a lot of money to have a "celebrity experience," a fundraising paradigm with massive social media reach is born. In a campfire talk following the 2016 TEDxUCLA Salon, witness how Ryan Cummins ('11), co-founder of Omaze, looped in A-lister after A-lister for deserving charities. 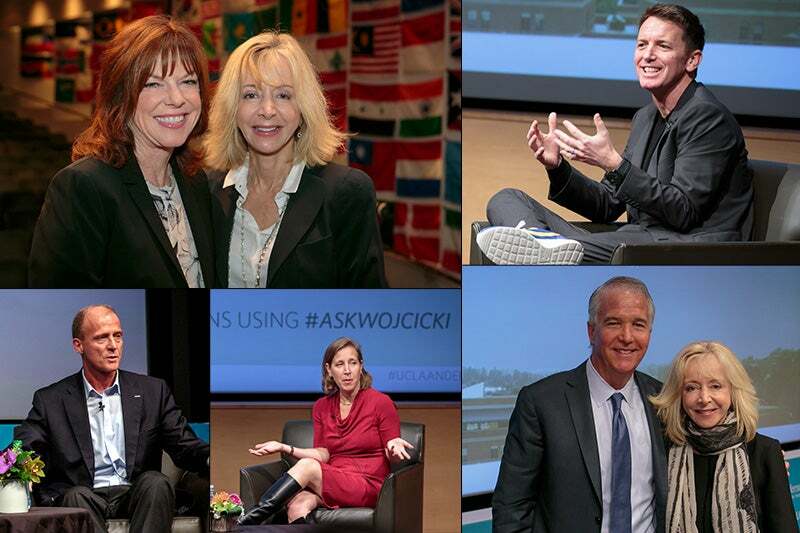 Our 2016 Dean's Distinguished Speaker Series included Nike's Andy Campion ('03), YouTube's Susan Wojcicki ('98), Deloitte's Jim Moffatt ('87), Airbus' Tom Enders and Sempra's Debra Reed. 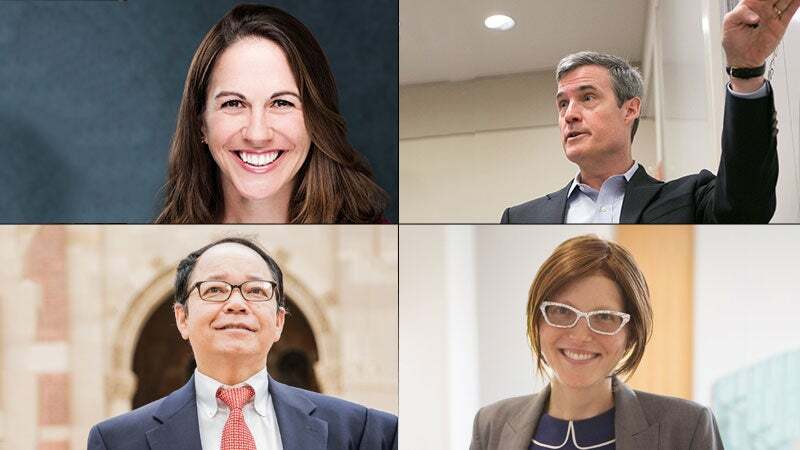 UCLA Anderson continued its excellent record of faculty recruitment with the addition of 10 new faculty members this year, after eight new hires in 2015. 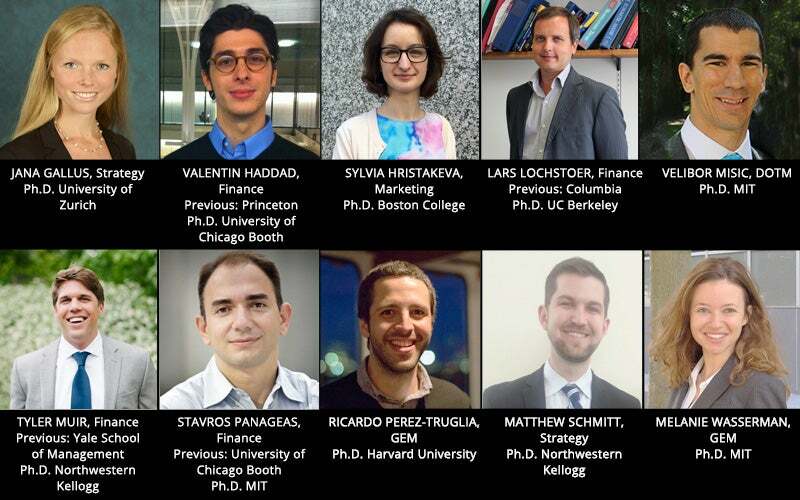 The newest faculty members include Jana Gallus, Valentin Haddad, Sylvia Hristakeva, Lars Lochstoer, Velibor Misic, Tyler Muir, Stavros Panageas, Ricardo Perez-Truglia, Matthew Schmitt and Melanie Wasserman. It's yet another way UCLA Anderson Thinks in the Next! 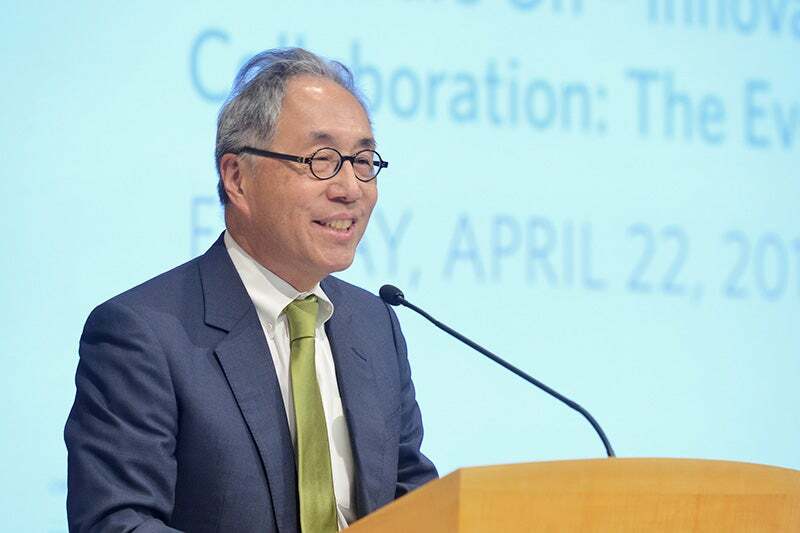 The Woo conference celebrated its 10th year with dynamic discussions featuring U.S. and Chinese business leaders, investors and faculty. 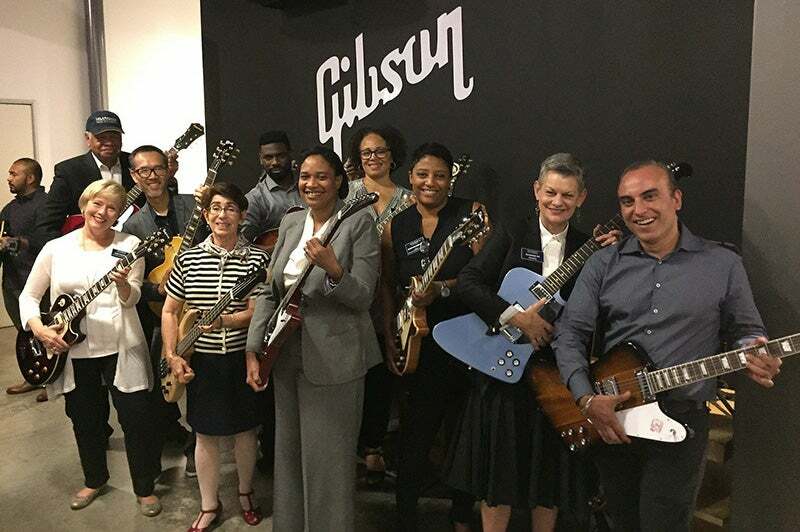 Participants included Jack Chen, founder and chairman of Transworld Capital Group; Fiona Ma, chairwoman of the California Board of Equalization; and Marlin Prager ('03), chief financial officer of Legendary Entertainment. Woo's son Michael (left), dean of Cal Poly Pomona's College of Environmental Design and former member of L.A.'s City Council, welcomed guests. UCLA Anderson presented Boeing's recently retired chairman, president and CEO Jim McNerney, with the 8th annual John Wooden Global Leadership Award. 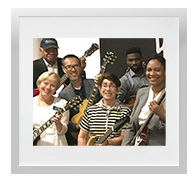 The ceremony, held at the California Science Center beside and beneath the space shuttle Endeavour, also recognized the accomplishments of 2017 Wooden Fellows Doug Larratt, Corey McMillen, Datra Oliver and Eric Potocek. In March, we launched the Easton Summer Institute, an innovative program for college students interested in the business of tech. The six-week program explores tech leadership in vital areas that include innovation, big (and small) data and communications. The goal is to equip students with the critical skills to become effective leaders in the technology space. Eight professors received UCLA Anderson awards for their outstanding accomplishments in teaching, research, leadership and mentorship. Pictured, left to right: Goldstein, Shu and Long. 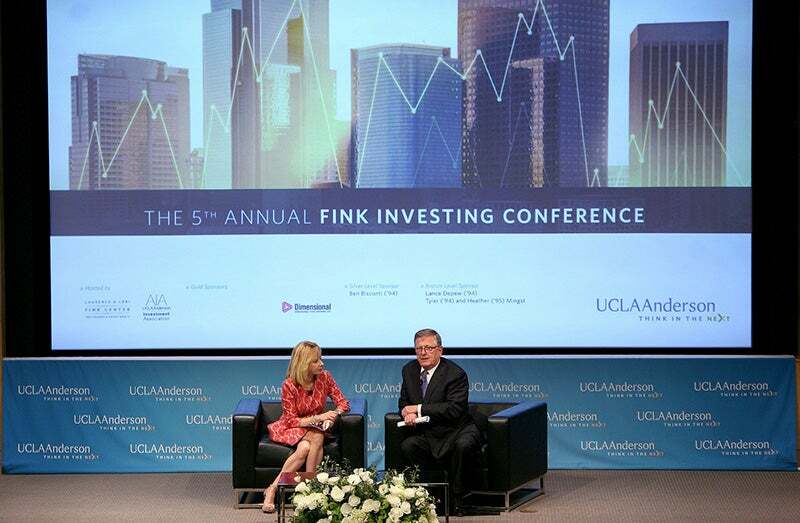 More than 400 attendees gathered for the fifth annual Fink Investing Conference. A keynote address by Rob Arnott, chairman and CEO of Research Affiliates kicked off the day; the event was capped by a fireside chat between Dean Judy Olian and David Booth, chairman and co-CEO of Dimensional Fund Advisors. 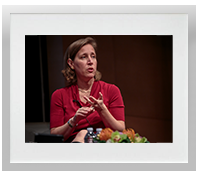 The event is presented by the Laurence and Lori Fink Center for Finance & Investments. 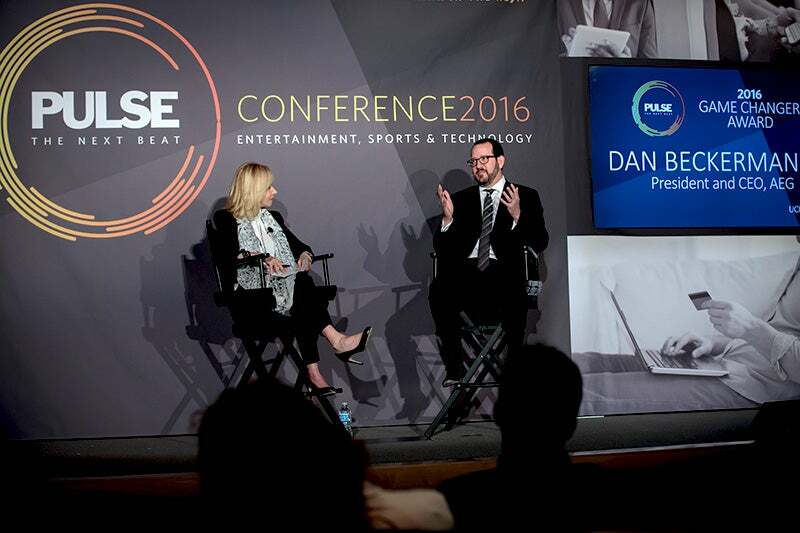 UCLA Anderson's sixth annual PULSE Conference featured keynotes by Peter Guber, chairman and CEO of Mandalay Entertainment Group and co-owner of the L.A. Dodgers and Golden State Warriors, and Dan Beckerman ('96), president and CEO of AEG. 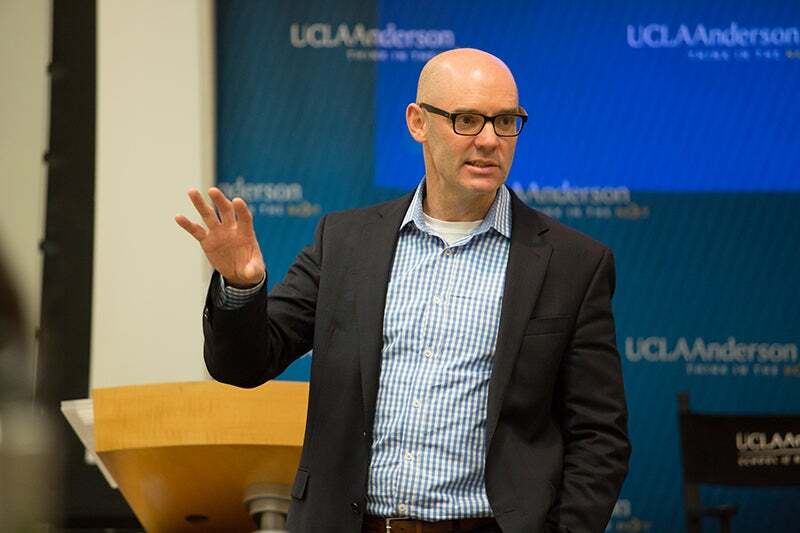 Beckerman, pictured in conversation with Dean Olian, was the 2016 recipient of the Game Changer Award for UCLA Anderson's Center for Management of Enterprise in Media, Entertainment, and Sports (MEMES), which hosts the conference on trends, opportunities and challenges affecting the three industries. 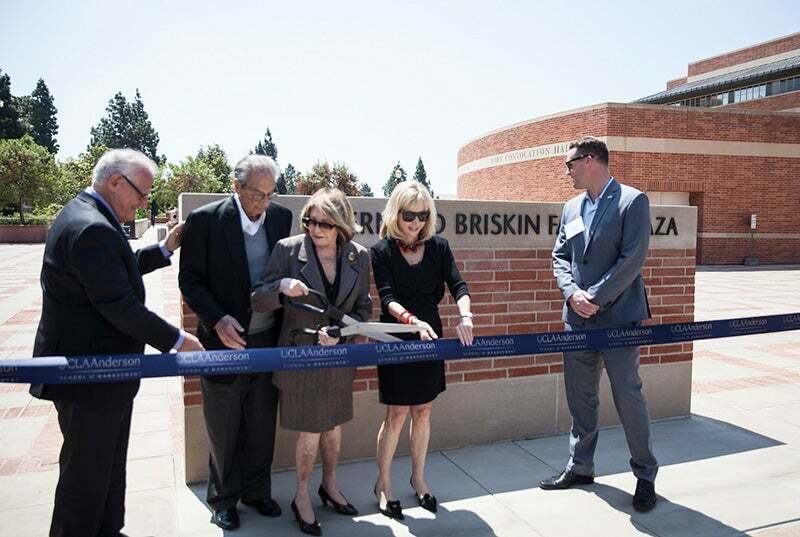 To honor the generosity of the Briskins, Bernard (Bernie) Briskin ('49), a UCLA graduate, and his wife Judy, Alumni Plaza in April was renamed the Judy & Bernard Briskin Family Plaza. Their gift also established the Judy and Bernard Briskin Marketing Specialization Program Fund, an endowment that provides fellowships to students specializing in marketing and supports other awards and programs. The 2016 Latin American Business Conference, themed "Latin America: Surging as the Next Frontier," brought together influential private and public sector leaders from multiple industries and disciplines to explore key questions about the region and forecast what is to come as Latin America considers its future and returns to stronger economic growth. Bryan Stockton, former CEO of Mattel, provided the keynote. 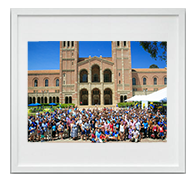 The phenomenal, nearly three-decade-long legacy of the Riordan Programs continued as UCLA Anderson honored Riordan alumni and students. Through leadership and management training, the programs help develop tomorrow's leaders. 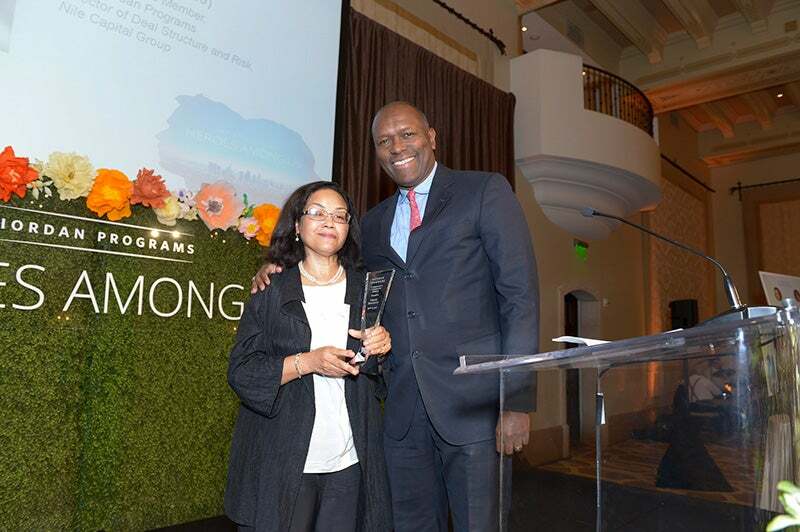 Nile Capital Group's Henry Brandon ('89), pictured left with Linda Baldwin, earned the 2016 Community Champion Award, saying of his mentoring commitment to Riordan students: "I'm so excited…because I know I'm going to change lives." 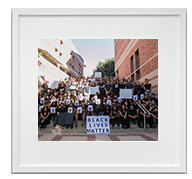 Students filled UCLA Anderson's west steps for a moment of silence to support the Black Lives Matter movement. 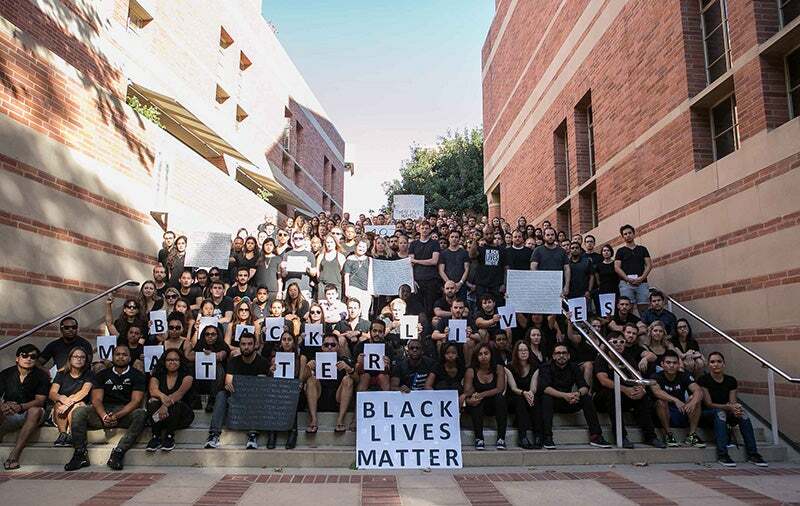 UCLA Anderson Student Association Vice President of Diversity and Community Colleen Thomas and Black Business Student Association members led the effort to pay tribute to those who have suffered injustice and loss. Now in its seventh decade, the UCLA Anderson Forecast continues to offer accurate, independent economic forecasts to a range of public and private entities. In December, the economists offered their thoughts on the potential impact of Trumponomics. Other topics for 2016 forecasts included a look at commercial real estate and innovation in Los Angeles. 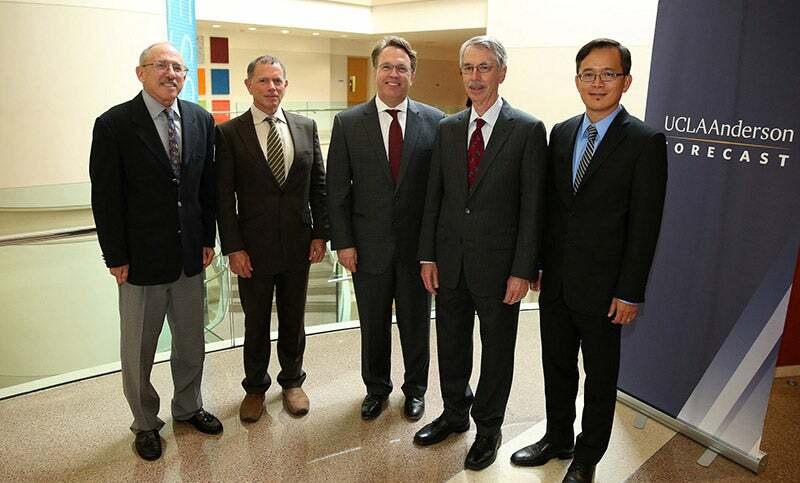 Pictured, left to right: David Shulman and Jerry Nickelsburg, (both of the forecast); John Williams, president and CEO of the San Francisco Federal Reserve; Forecast Director Ed Leamer; and William Yu, economist at the forecast. 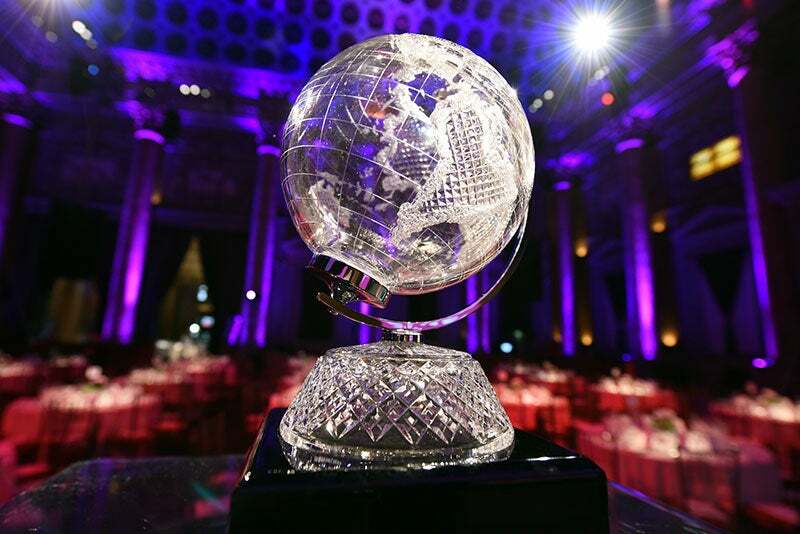 Journalists from across the U.S. gathered in New York in June for the 59th annual Loeb Awards, the most prestigious honor in business journalism. 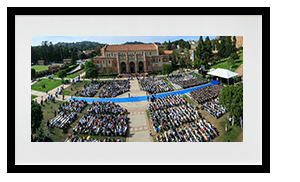 UCLA Anderson has been presenting the awards since 1973. The Loeb Awards' Media "Insiders" Series launched in 2016 with a lecture by Hank Gilman, former enterprise editor for Reuters. Teams from the nation's top MBA programs gather annually at UCLA Anderson to demonstrate their analytical prowess and do justice to the competition's namesake, BlackRock Chairman and CEO Larry Fink ('76). Judges hailed from such firms as the Capital Group, Kayne Anderson Rudnick, Highmark Capital Management, Wedbush Securities, UPI Management and TCW. 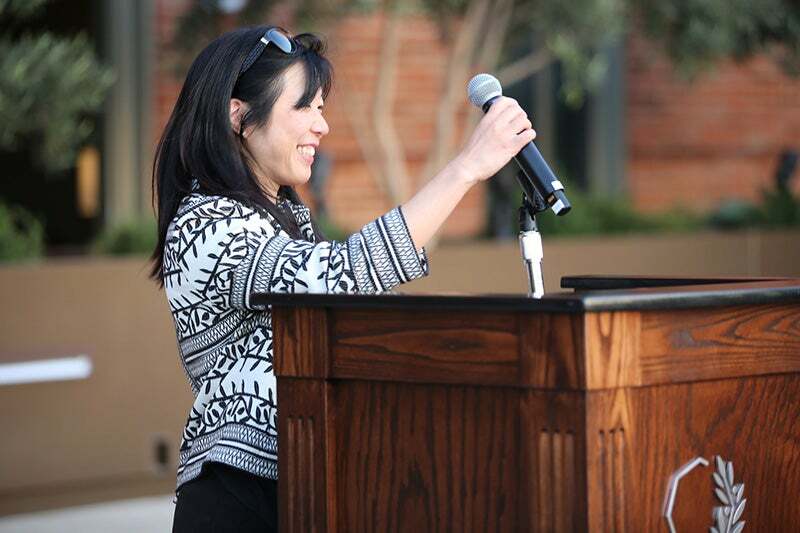 The 2016 competition featured a keynote by Donnalisa Parks Barnum ('86), equity portfolio manager at the Capital Group. 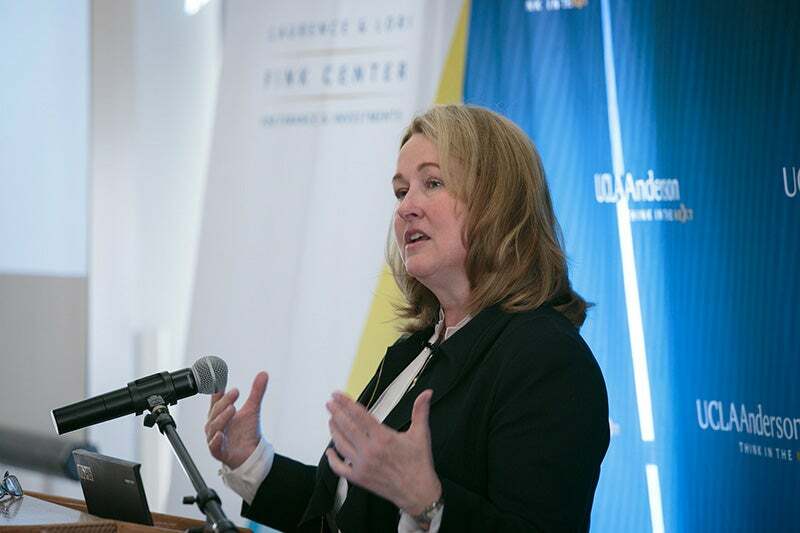 The annual UCLA Anderson Women's Summit featured keynotes, panels and workshops on how women in business can build and keep momentum. AT&T's chief diversity officer Cynt Marshall and Jane Wurwand, the CEO and founder of Dermalogica, were among the headliners. Easton Technology Management Center hosted the second annual CES@Anderson, featuring leading-edge tech speakers and an exhibition of the latest in technology with a focus on transportation, like Hyperloop, autonomous vehicles and a three-wheeled "folding" car. 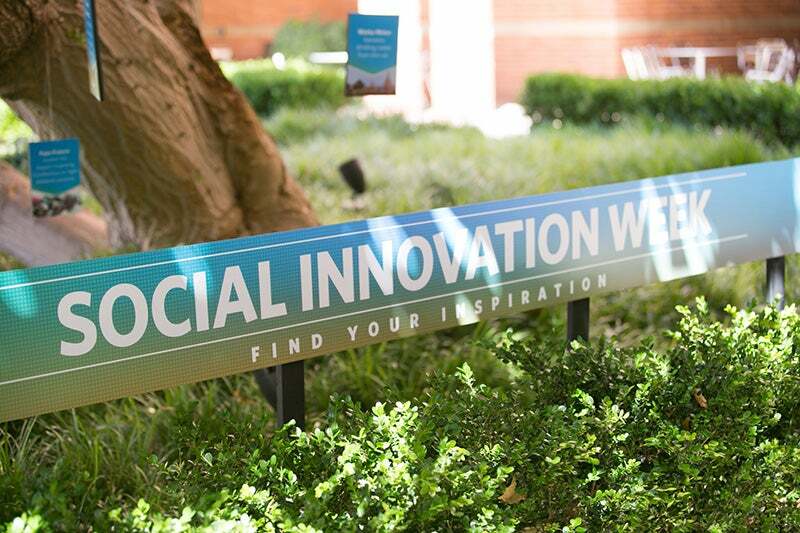 The third annual Social Innovation Week conference brought together key thought leaders to spark ideas for collaboration across sectors and functions, from coding to filmmaking, and philanthropy to urban sustainability. UCLA Anderson is empowering its students to lead transformational social change in 21st-century businesses, with a new MBA specialization in social impact, dynamic High Impact Tea events, and social entrepreneurship becoming a key part of the curriculum across subject areas. Our faculty's work earned many accolades this year. Among the honors, Randy Bucklin earned the AMR's William F. O'Dell award; Chris Tang was recognized for research on health care reimbursement; Cassie Mogilner Holmes earned the Association of Consumer Research's Early Career Award; and Professor Jenessa Shapiro was named one of 2016's Best 40 Under 40 Business School Professors by Poets & Quants. 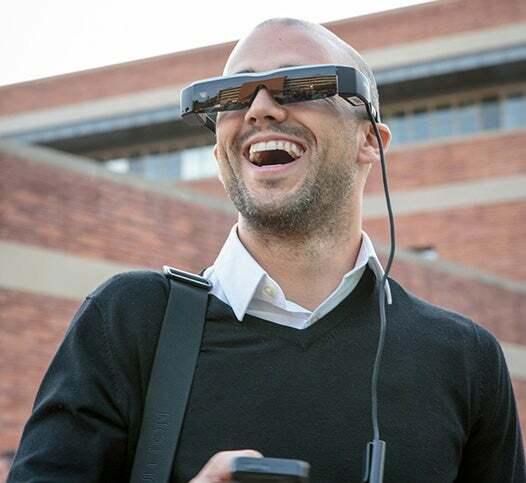 UCLA Anderson was the first MBA program to require students to participate in field studies, and remains a leader in the area. In 2016, field study projects added value to companies and nonprofits in more than 20 countries, from China to Chile, from Ghana to Guatemala, from Uganda to the United Kingdom. A number of student teams also worked on startup ventures within the Business Creation Option. With diversity an essential element of the educational environment we strive to foster, UCLA Anderson in 2016 launched a Diversity Speaker Series to share personal experiences of "being different," whether those differences involve gender, ethnicity, sexual orientation, national or economic origin, religion, disability or personal narrative. The first speaker was University of Michigan Professor Scott E. Page, the author of several books, including Diversity and Complexity. Management education continues to evolve. In 2016, UCLA Anderson hosted deans and directors from other top schools to discuss the future of the part-time MBA program. 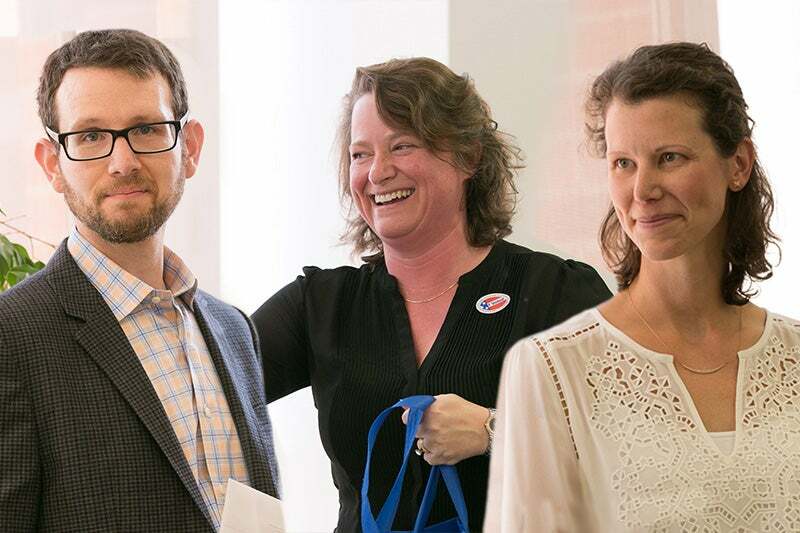 And UCLA Anderson continues to innovate in various ways, including by creating the highly successful FEMBA Flex hybrid option, opening a lactation room for new mothers, and experimenting with child care for parents in the program. 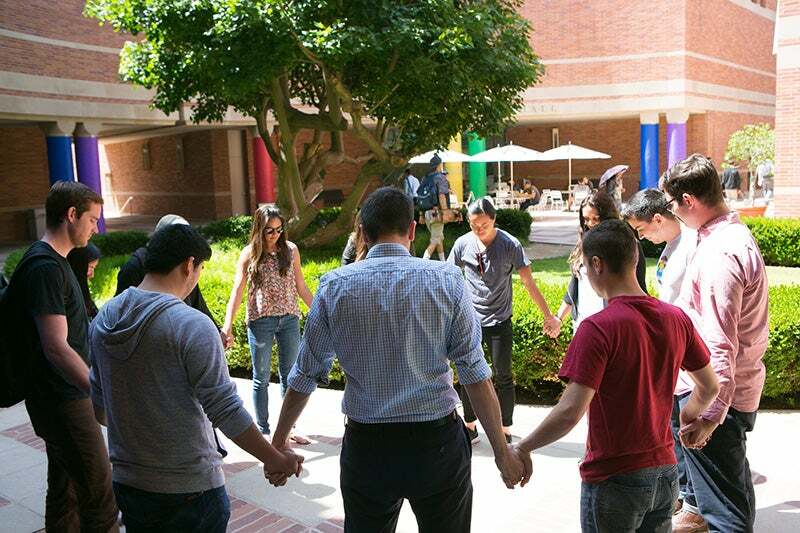 In 2016, UCLA Anderson continued to lead the way at UCLA with a number of LGBTQ awareness events that considered what it means to be an ally from various perspectives. More than 200 people signed the pledge of solidarity with the LGBTQ community. 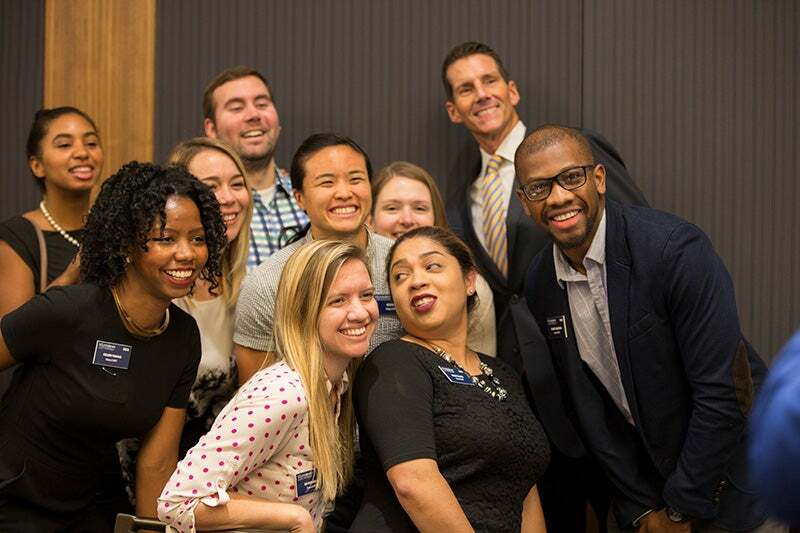 UCLA Anderson welcomed new graduates to its alumni network with fall events in more than 25 cities around the globe, from Manila to Menlo Park, Lausanne to London, and Tokyo to Thousand Oaks. This year, we were invited behind the scenes at such organizations as Instagram, Payscout and Yelp, and engaged in discussions with faculty and alumni from ABC News Digital, Disney Accelerator and more. 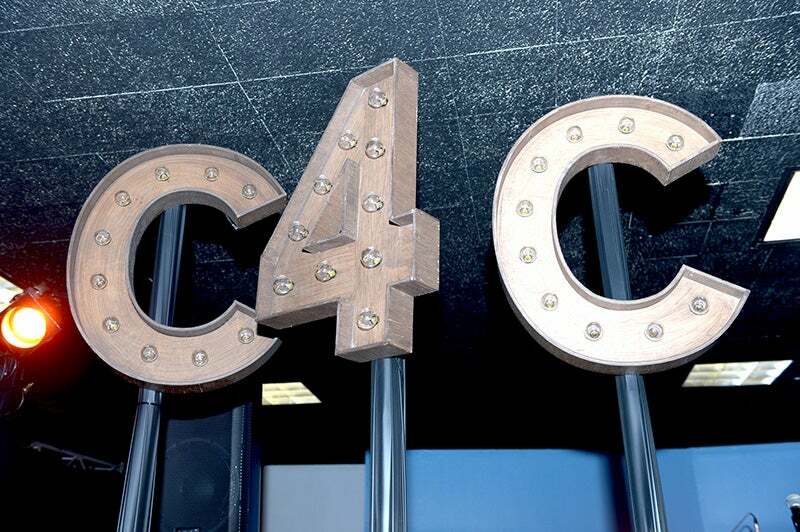 UCLA Anderson's Challenge for Charity (C4C) is the largest charitable organization at UCLA Anderson. Last year, Anderson students raised $25,000 and volunteered nearly 5,000 hours for its three select charities: Special Olympics, Junior Achievement and Project ECHO. 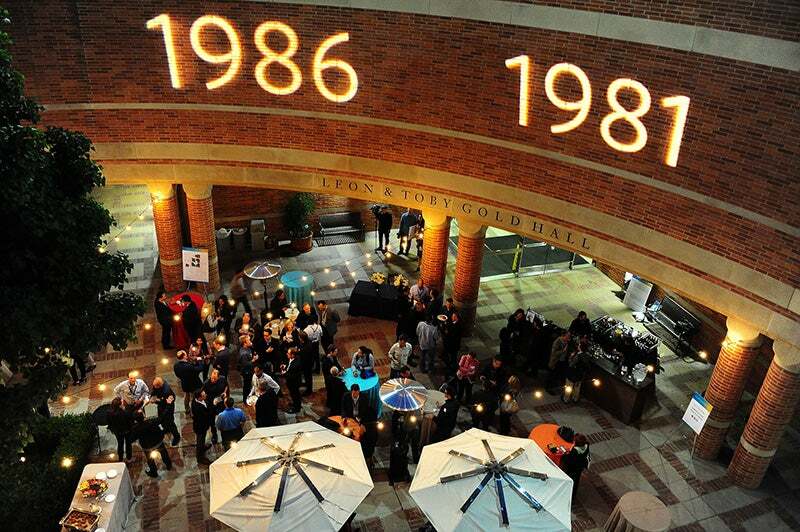 Our annual alumni and reunion weekend offered a mix of sustenance and celebration with a number of panels, speakers and parties. More than 1,000 alumni attended from the classes of 1955 through 2015 — a range of 60 years. Representing 27 states and 13 countries, the attendees learned, networked, danced and golfed their way around L.A. during the four-day extravaganza. Los Angeles Lakers General Manager Mitch Kupchak ('87) was the keynote speaker for UCLA Anderson's commencement for the full-time MBA, Fully Employed MBA and Ph.D. Classes of 2016. Kupchak passed on lessons from his own mentors, including this advice from his UNC college coach, Dean Smith: "Be prepared, stay calm and believe in the unbelievable." The launch of our new incubator was just the beginning. Providing collaborative opportunities for UCLA Anderson students and their peers across campus, the state-of-the-art facility is picking up speed with generous support from alumni that include Jim Freedman ('78) and William Grabe ('63). 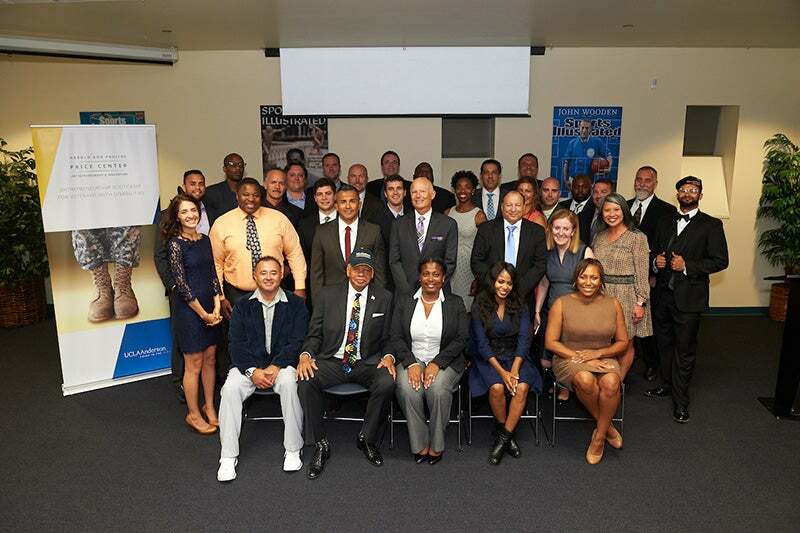 For the ninth consecutive year, UCLA Anderson worked with business-minded veterans who completed an intensive summer program to launch or develop new enterprises. In November, Newman's Own Foundation supported our efforts with a $50,000 grant. 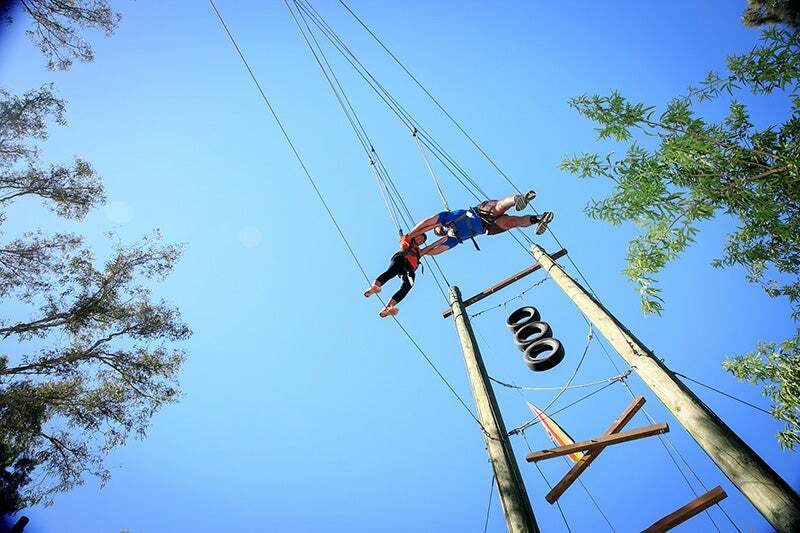 As part of their orientation, incoming FEMBA and MBA students learn trust and collaboration by tackling the ropes course. This year we welcomed students from more than 40 countries, speaking more than 60 languages. Among the new students were dozens of military veterans, an Emmy winner, an astronaut in training and the owner of a distillery in Peru. 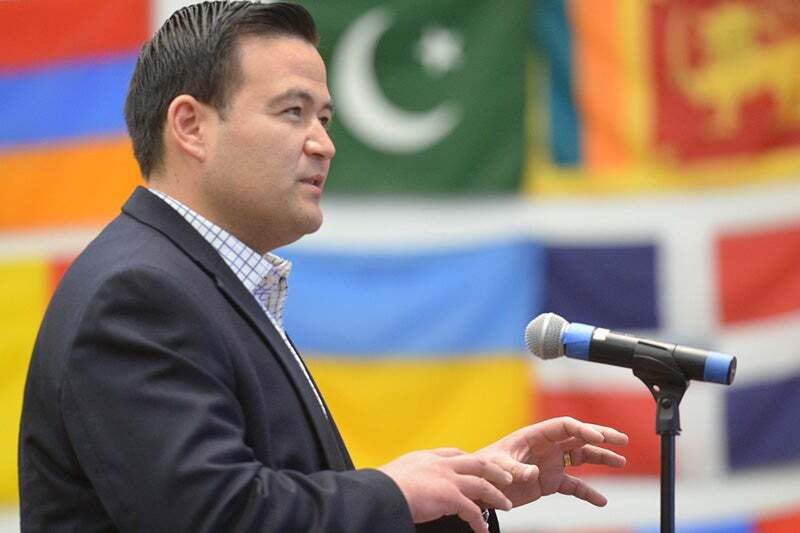 The Embracing Diversity Conference for prospective MBAs continues to grow. 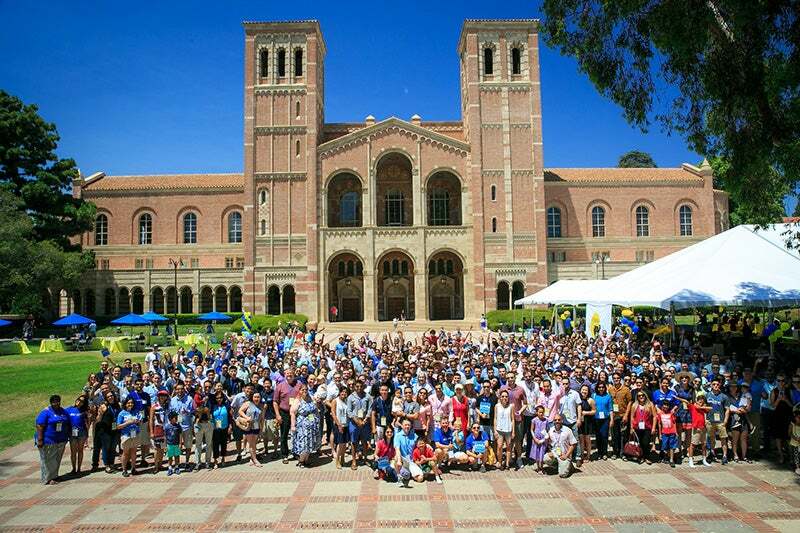 UCLA Anderson students, administrators, faculty and alumni collectively conveyed our values to an enthusiastic group of applicants. More than 1,000 members of the extended FEMBA family — students and alumni — gathered for an energetic day of networking, food and fun this summer. 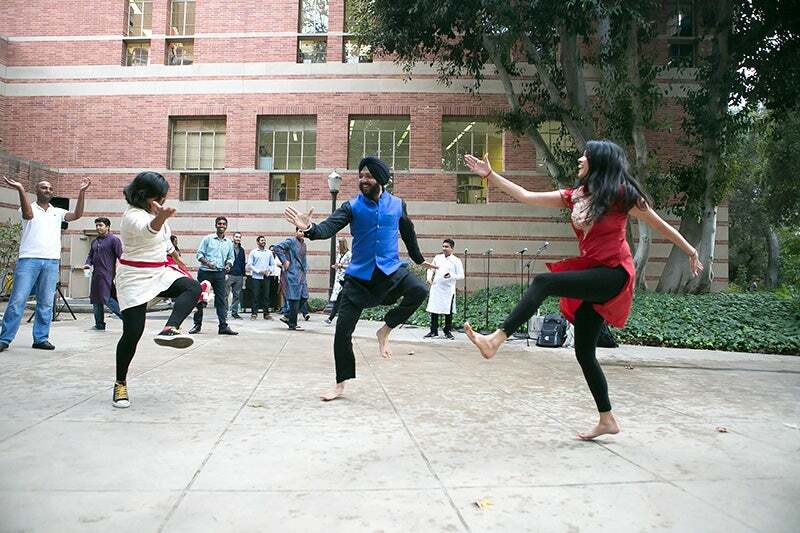 Our venerable Thursday tradition of starting every weekend early with cold drinks, good food, cultural celebrations and high spirits this fall included a jubilant dance performance in honor of Diwali, the Hindu festival of lights. Thanks to the $100 million gift from Marion Anderson, we have now approved plans to construct a LEED-certified, future-facing campus hub that will bear her name. 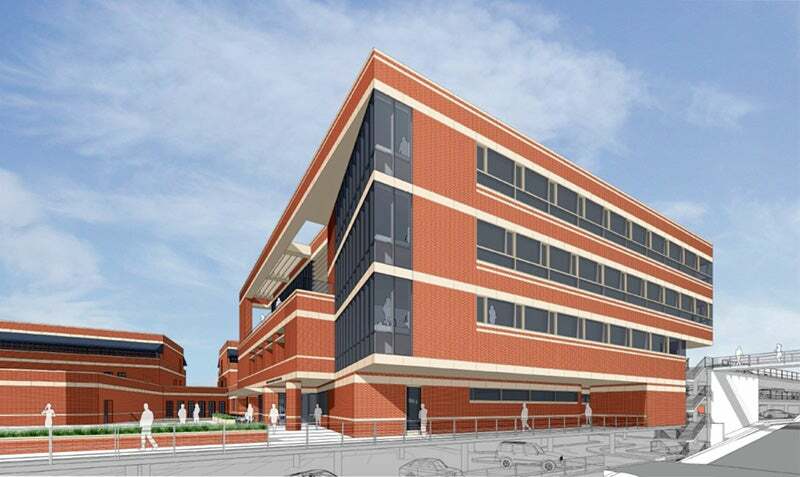 We plan to raise another $50 million toward construction and to break ground next fall.